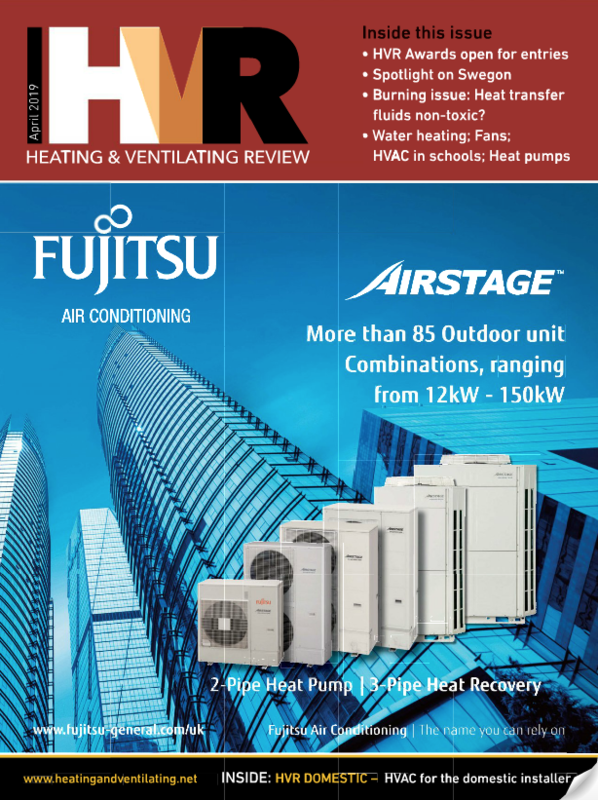 Sharon Oliver, marketing manager at Mitsubishi Electric, discusses some of the ways heat pumps can be employed as an effective solution. According to the Carbon Trust, commercial buildings are responsible for 18 per cent of total UK emissions and, typically, 51 per cent of emissions generated by these buildings are down to heating. In order to meet the UK’s broader goals for mitigating climate change, the way we provide heat to commercial buildings must change. As a result, the pressure is on to find viable alternatives to oil or gas, and heat pumps are one option which is challenging the status quo. Heat pumps have been designed with commercial applications in mind, offering high levels of efficiency, reduced CO2 emissions and the ability to harness renewable energy. Benefits include future-proofing commercial buildings against increasingly strict regulation on emissions and efficiency, as well as reduced running costs, quick installation and simple maintenance. The heat pump systems can operate with a highly scalable design. Whether you’re looking to heat a small doctor’s surgery, a farm, primary school or provide community heating for an entire estate, heat pumps are already proven in a wide variety of applications. Here are some examples of just how versatile a heat pump can be. We worked closely with Flag Station Farm, a grade II listed building in Herefordshire, to make use of a Ground Source Heat Pump system to provide them with the perfect under-floor heating solution. In the four chicken sheds on site, the owners house 180,000 chicks, from one day to six weeks old, and keep them warm. Twenty heat pumps were installed in a cascade system, all managed by a central controller, so temperature and ventilation in each shed can be adjusted in accordance with weather conditions – something that is particularly key in the highly changeable UK climate. This close level of control is also important to ensure the chicks are provided with the right environment at each stage of development, as they need the temperature to be reduced by around five degrees each week, from when they’re born, until they are acclimatised to their surroundings. As a result, the farmer is breeding happier, healthier and more content chickens. We provided the farm with ground source units, which absorb heat from the ground and release it efficiently to meet the levels required by the space. The level of energy efficiency achieved by this system qualifies for the governments’ Non-Domestic Renewable Heat Incentive, which offers payments to organisations based on the amount of heat they generate and is enabling the farm to make long-term financial gains. Being located off the grid, our installation has enabled the farm to save money in comparison to liquid petroleum gas (LPG) heating, which is less efficient, and incurs the additional cost and risk of having the gas delivered and stored on site. Plus it produces more carbon emissions. At another site, Chapelford Primary School, an ultra-modern school built at the heart of an urban village in Warrington, we provided an Air Source Heat Pump (ASHP) system. For its heating, the focus for the school was to find a renewable, energy efficient system which met the project’s commitment to sustainability, while keeping the environment fresh and comfortable for its 420 staff and pupils. They chose heat pump technology to provide under-floor heating and hot water, with 69 per cent of the heat delivered to the building delivered from renewable sources. What is more, output capacity can be increased, and decreased, in 0.5kW increments, from 18kW up to 688kW. This level of modulation is unprecedented in the heating industry and allows for significant energy savings to be made. 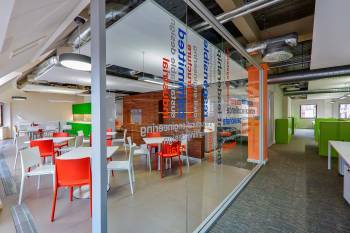 As a result, the building achieved an energy efficiency rating of ‘Very Good’ by the globally recognised BREEAM environmental assessment. We have worked with Peaks & Plains Housing Trust to provide cost-effective heating at Hunters Gate, a development of 36 apartments in Cheshire. The project was designed specifically to offer affordable new homes to residents, which meant keeping heating and water bills down as well as the cost of rent. We have been able to support them with this, providing energy-efficient heat pumps to ensure that tenants do not fall into the fuel poverty trap. Five Air Source Heat pumps provide over 200kW of heating at the site, and due to their ability to cope with various loads, the units are well placed to meet the needs of an apartment block with many different tenants. The system also offers both centralised controls and the ability for individuals to adjust the temperature of their own apartment, helping to main a comfortable living environment. Heat pump technology is already benefiting commercial and non-domestic projects, as well as large-scale residential builds, by addressing a host of different needs, whether it be reducing heating bills, meeting environmental standards or simply providing comfort inside a building. As the pressure mounts to create a more low-carbon, sustainable environment for future generations, heat pump technology will become even more important.